Everybody is talking about The Cloud – it is on television and radio, in magazines and newspapers, and has been flooding the Internet, presented as a revolutionary technology that will shape up the future. For most people, cloud computing means nothing, since the words “cloud” and “computing” sound very confusing and only make it seem like something overly geeky and out of reach. While the actual technology behind the cloud can be complex, the concept of cloud computing is actually quite simple to understand. In this article, I will explain cloud computing in very simple terms and talk about cloud storage for photographers – what it can offer to us now and in the future, and whether we should be taking advantage of it today. Whether you backup your photographs to an external hard drive or a storage device, you should regularly back up your photographs to an offsite location as well. There are many cases when photographers foolishly assume that their data is safe just because somebody told them it is. No matter how redundant your storage is, there is always a threat of theft, misuse, various accidents and natural disasters that might cause data loss. Imagine losing everything you have worked on so far – all of your clients photographs, your portfolio images and your photo libraries you spent countless numbers editing and organizing. Are you prepared to lose it all? If you are not, then you should be evaluating a good backup strategy. I frequently get questions from our readers about backing up large photo libraries without breaking the bank. Some are thinking about investing in locally attached storage solutions from companies like QNAP and Drobo, while others are wondering about online backup solutions that seem to be getting more and more affordable every day. “What should I invest in now?” seems to be the question. Large locally attached backup storage solutions can get rather expensive to buy and maintain overtime. Is online storage a good alternative to local storage? I will try to answer this question shortly, but first, let me talk about cloud computing and explain what cloud storage technology is all about. Here is an oversimplified explanation of cloud computing. Imagine a large company that employs many contractors, ready and available to work for you any time you want them to. You can hire only one contractor if you are not busy, or you could hire many contractors at once during your peak season, without having to employ them on a permanent basis. Just like your electricity bill, your costs stay low when your business is slow and increase on demand automatically when you get busy, so you only pay for the contractors you actually use. The contractor that you release from work goes to work for somebody else, so his time is not wasted doing nothing. A single contractor could work on several jobs for you and other companies simultaneously and his employer takes care of him, making sure that other contractors help him out if he is overloaded. The company is happy, because it uses their staff efficiently through resource sharing and you as a customer is also happy, because you only pay for what you actually use. You do not know or care about how those contractors are employed, what their shifts and schedules are and how much the company is paying them. All you know is that they are available for you any time you need them at a flat rate. If the demand for contractors grows, the company that employs them can get many more on their payroll to match the demand. So if you are successful and your business expands very rapidly, the company will be able to provide enough resources to match your growth. Now think of this company with contractors as the “cloud” (the term “cloud” is actually a metaphor for the Internet, which is typically expressed as a cloud in network diagrams). The cloud can be located anywhere on the Internet, and could consist of multiple interconnected locations. The contractors can be thought as physical units (servers) that can be added or removed from the cloud. These units can serve different purposes – they could provide computing power, physical storage or host specific applications. Working together, these units/servers can be dynamically allocated to different customers based on their needs. You might not know this, but you have already seen and experienced cloud computing and might be using it on a daily basis today. Have an email account with Google, Microsoft or Yahoo? Those are hosted on large clouds. Watched a video over Youtube or chat with your friends on Facebook? Yup, those work off clouds as well. 1.1) Why is Cloud Computing becoming popular? So why is cloud computing becoming so popular and what is driving the demand? In the past, companies spent large sums of money creating, maintaining and expanding data centers to host their online applications. While very large enterprises could afford having their own data centers, smaller companies had a hard time keeping up with their growth, because higher loads meant adding more computing and storage resources quickly. Overtime, the size and the capacity of small data centers were barriers to growth and companies were forced to migrate their data centers to larger space, which was a very costly operation. Back then, most companies could not keep up with occasional high loads from high-traffic sites. A viral video on Youtube today can get millions of hits just in a few hours, which is only possible because Youtube is hosted on a large cloud that can handle that kind of load. Companies that own large clouds have enough capacity to handle many customers, so they are now targeting smaller companies to increase their revenues and help those companies significantly cut down their data center costs. Let’s talk about cloud storage now. As I pointed out in the beginning of this article, local backup storage comes with many potential problems. It is expensive to buy and maintain, requires your availability to take care of problems when they occur and is prone to misuse, theft, accidents and natural disasters. It also requires some technical know-how to set up, operate and automate it for backup purposes. Lastly, backup storage needs to be properly sized and should have enough capacity for growth. What if you had the ability to backup your data to an offsite location, had unlimited storage and never had to worry about backing up that storage or maintaining it when it fails? That’s when cloud storage comes into play – it can virtually provide unlimited storage with a very low risk of potential failure. Remember when I said that physical units within the cloud can do different things like providing computing power and storage? Imagine thousands and thousands of interconnected hard disks in large boxes that form one huge and expandable storage array within the cloud. If it starts filling up, the company that maintains it ads even more storage, making it dynamic and virtually unlimited. The storage cloud is monitored 24/7 by automated systems and professional staff and any potential problems are taken care of immediately the moment they occur. You buy or rent your storage space, which is assigned to you dynamically from this expandable storage and you only pay for what you actually use, so there is no waste of resources both for the company and you as a customer. The same cloud storage technology is making it to us today, end users, at compelling price points. Public/community web-based cloud storage – you upload your files to the cloud via your browser or other external software and your files become instantly accessible through a web-based interface. This method is used by popular photo-sharing websites like Flickr and Smugmug. You can buy unlimited space and upload as many photographs and videos as you want. However, there are certain limitations that make it unpractical to use such sites for backup purposes. First, you cannot upload RAW files and second, you cannot easily download all photos back to your computer while keeping the folder structure organized. Price-wise, it is the cheapest cloud storage type. Local/hybrid folder synchronization – a client is installed that monitors a specific folder on your computer for changes. As soon as a new file is created within that folder, it is automatically uploaded to the cloud through your Internet connection. You might have heard of services like Dropbox, Livedrive, Google Drive and Copy (now discontinued) that can do this. Pricing depends on the amount of storage you want to back up. Most of these services offer free packages to get started and you can pay on a monthly basis for additional storage. The advantage of this type of cloud storage is that your folder structure is always updated automatically and the system keeps old versions of your files. You can also easily share files between computers and family/friends. Lots of different tools to access data are provided for many different platforms. Prices are normally higher than public web-based cloud storage. Dedicated/private cloud storage – you buy as much space as you need in a cloud and use it however you need. You can manually upload your files or you can install client software that automatically synchronizes specific folders on your computer. It is up to you whether you want to keep a local copy of your backup or not. The space you buy is yours only and is not shared with others like in Flickr. There are many different companies such as Amazon that provide cloud storage services. Lots of different ways to store and retrieve your data, but might require some technical skills to use it efficiently. Depending on the amount of storage you need, this type of cloud storage can get very expensive. There are some photographer-friendly sites like Mosaic Archive that allow uploading images through Lightroom directly. 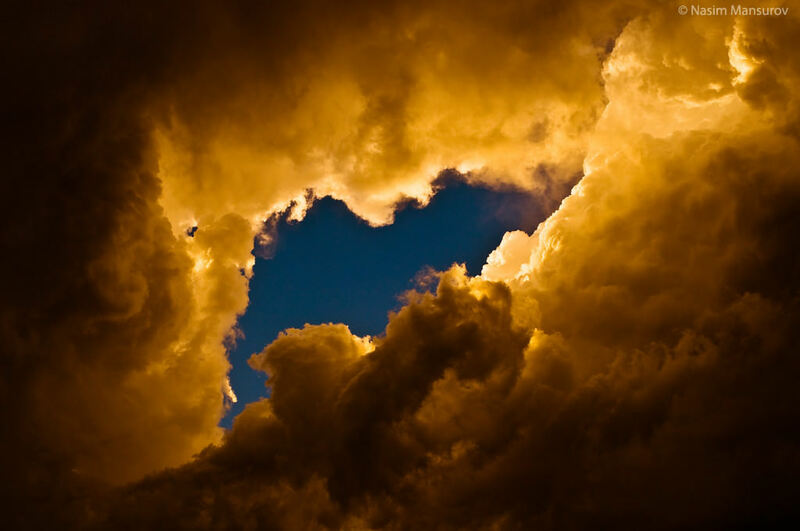 There is also another breed of cloud storage that is specifically targeted at photographers. Photoshelter, for example, is a community web-based cloud storage that has a web-based interface for uploading and downloading files. You can access your account via FTP and you can use plugins for Aperture and Lightroom to export pictures directly into your account. RAW image upload is also supported. These services are gaining popularity very fast and they are a great alternative to mainstream sites like Flickr. If you have upload bandwidth issues, you can even send in your hard drive. So, which type of cloud storage is right for your backup needs? Public/community web-based cloud storage is obviously the cheapest, but the least flexible. You can only store non-RAW images or video and it can get very cumbersome to retrieve and restore all of your data. Local/hybrid folder synchronization is a much better, more flexible and a relatively low-cost alternative, but has its own problems like storage limitations. Dedicated/private cloud storage is the best choice, but can get very expensive if you have terabytes of data. So there is no magic pill – you need to evaluate your priorities and decide what works best for you. Do you need to keep a backup copy of your RAW files online, or will JPEG format suffice? Do you need to keep backups of all of your images you have shot to date, or only the last several years? Do you have a strategy in place to archive your old data you no longer need? You should try to answer these questions and come up with a good methodology that works for your photography business. Below I will talk about my backup strategy/workflow and how I use cloud storage today for my needs. Cloud storage cannot be used as primary storage for your photographs today, so it should only be used for backup purposes. Cloud storage requires good upload bandwidth to back up a many large files. If you want to back up your RAW and TIFF files, consider upgrading your bandwidth to allow for larger uploads, or back up your data to an external drive and store it in a different location. The situation you do not want to be in, is synchronization not being able to complete before you dump more data into your working folder. Restoring your files from cloud storage will also require good download bandwidth if you want to do it quick. Although there is a very low risk of data loss on the cloud, I highly recommend against using it as primary backup. Hard drives are cheap, so you should back up your data locally first. There were cases where people lost their Flickr accounts due to operator error without the ability to restore their photographs. Cloud storage is typically much more expensive than local storage for large amounts of data. If your photo library is over 500 GB, it will probably be cheaper to keep it offsite locally. Some cloud storage providers limit the maximum size of files you can upload to their system. For example, Flickr limits image sizes to 20 MB for Pro accounts. Access to files is sometimes restricted to a certain web page. If you use public/community cloud storage, you can only access your files through their website. Because of this, you will probably see ads and the company can change photo presentation format any time they want. Oh, and one more thing, I once saw a photographer give a suggestion to another photographer to use Dropbox for sharing a Lightroom catalog between computers. That’s a really bad idea for two reasons – Lightroom catalogs can get very big and Dropbox will not have a chance to synchronize quickly and changes written by different people will not be synchronized correctly when more than one person works on the same Lightroom catalog at the same time. I will write a separate article on sharing Lightroom catalogs later this week. For my Lightroom catalog and RAW images I use two 2TB 7200 RPM mirrored internal hard drives. So far my entire catalog fits in this local storage, but I am close to getting maxed out, so I will be archiving my old files to a different mirrored external hard drive next year. The data is mirrored automatically, so in case one hard drive fails, I should be able to recover data from the second one quickly. Once a month I backup my data to another external mirrored drive and store in a different location. I periodically export all of my images from my Lightroom catalog in JPEG format (full size, 80% Quality) to a separate folder on my computer that automatically gets synchronized through Symform cloud storage client. I back up ALL of my images in JPEG format to the cloud. Uploads typically take a while with my 20Mbit download and 5Mbit upload bandwidth cap through CenturyLink, so I leave my PC on until the synchronization is 100% complete. I used Dropbox Pro 100 for this before, but now I get 200GB free storage with Symform and unlimited storage for just $10 per month, so I made the switch recently. In case I lose everything, I can at least recover full JPEG images from the cloud. I can sleep well, because I know that my data is safe. I am sure the above might sound like an overkill for most photographers, but Lola and I run a business and we need to make sure that our data is safe and secure. At the minimum, you should be doing #1 and #3 from the above list. Without a doubt, cloud computing is the future. But is it the future for photographers? Will it ever replace your hard drives and become your primary storage with automated backups? Until bandwidth issues are eliminated (which will take many years), I do not see how it will. In a perfect world, I would love to have fast gigabit access to the Internet for downloads and uploads from home. Wouldn’t it be great if there was a cloud version of Lightroom or Aperture that you could launch directly from the Internet and all your files were stored on the cloud? The speed of your computer would not matter and you could work on your images from a device like the iPad, because you would not need local processing power or storage. Perhaps I am looking too much into the future, but the possibilities with cloud computing are endless. For now, I am hoping to see two things for photographers in the near future: higher upload bandwidth limit from ISPs for backup purposes and more offers from cloud storage companies to store large chunks of data at reasonable prices. But if you talk about Dropbox, you need to talk about SugarSync too. It’s very similar to Dropbox, but free acount have 5GB and not only 2GB. And the most important, you can sync any folder, not only “Dropbox” folder! I love Dropbox, but after known SugarSync, I’ve changed my mind. Very fast and stable service, as Dropbox. And online service have images visualization, another thing better than Dropbox too. Cloud Computing is the future. 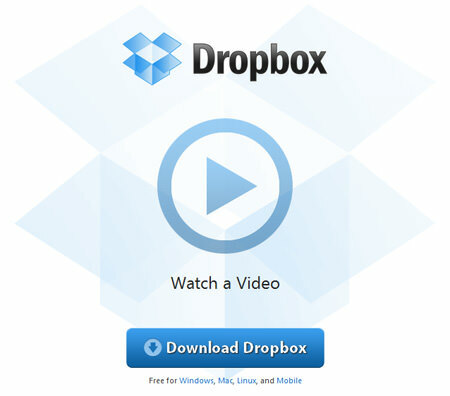 hey, sign up with DropBox and get 50GB for free…. Nasim, what about Windows Live’s Skydrive? It’s a file storage cloud with 25GB storage per account! You can also create as many folders and sub-folders as you’d like to organize your files the way you like it. You can adjust the privacy settings for each folder (public, friends only, or private). I’ve been using it to store photos to be posted on my blogs for 2 years (yes, multiple blogs and the photos were saved for Web), and I have yet to reach the 25GB limit. Best of all, it’s free. I think Skydrive will be great for first-timers who wants to see what cloud computing is all about. Aggie, the bigest problem with Skydrive is that it’s only online, you can’t sync with folders in your computer, PC or Mac. That’s the great vantage of Dropbox or SugarSync. Much more work around. But just for online storage, it’s great. I just don’t understand why Microsoft don’t do Skydrive more like Dropbox, why they are always so complicated and restricted?! There is a sky drive client called Windows Live Mesh which does what you describe. I don’t use Live Mesh because I opted to use Picasa, but if I had to do it over again I would consider sky drive because it allows you to sync documents as well as pictures. There are some other features of Live Mesh which are interesting, like syncing your MS Office settings and remote access to all of your PCs or Macs. I am not a photographer but I use small videos of many musicians. Backing them up offsite will help a lot. Thank you very much for this well written explanation! You have given me some very useful information. You may want to check out 500px.com/upgrade. Hey, if you go to DropBox now and signup for a new account, you get 50GB of space for free!!!!! @jason I think you are talking about box.net giving away 50GB for iOS users. I like your informative articles. I have been looking for a place/site to post my web page to no avail. I have been using mobileme since I have a mac pro and have loved it,it is fast uploading and reliable and accessible, but Apple is discontinuing my beloved mobileme in June 2012 and replacing it with “icloud” which does not do web host publishing. I would like to be able to have my own website and have tried publishing my web page to “godaddy.com” which should be called “slowdaddy.com” It took their site 20 hours to publish my small web page of just 3 gigabytes and it only successfully loaded half of it. Half of my web page was not displayed correctly and my movies would not play. I published my web page to “my local folder” on my desktop with no problem at all and everything displayed and played correctly. My web page published to “mobileme” in 10 minutes with no problem at all. Can you recommend a web host/publishing company that can do it right without breaking the bank? Don’t pay for LiveDrive if you’re a photographer. Join the NPS (www.thenps.com) which is a UK photographers association as an overseas member and as well as tons of other stuff you will get LiveDrive (The States version) for free! I did and have over 90 gigabytes backed up on it. cards for the Nikon D800 ? Please excuse this blatant plug, but it’s totally relevant here. A new alternative is coming that will make it easier than ever for photographers to store, access & share their work from any Internet-connected device. You will be able to “Own your own Cloud” with StoAmigo’s CloudLocker. It sits in your home or office where you can see it, touch it, take it or even unplug it and tuck it away. There’s no third party between you and your work. Photographers can give it a “taste test” now by signing up for a free 5GB account at www.stoamigo.com. But it’s really not about online storage. It’s about making it easier for photographers to upload large files (10GB+), to have low-res versions generated automatically for viewing (but not copying) by clients, and to share & unshare via links instead of the zipping & unzipping hassles of email attachments. I’m looking for professional photographer/bloggers to run the CloudLocker through its paces when it arrives in May 2013. Your comments are welcome. Good luck with this. I’m looking forward to seeing what you find out. are at the Picasa level at best. I take lots of pictures of my son’s basketball team and I want to share them with the parents, somebody suggested google drive, I did downloaded it, but when i tried to upload the pix i quit right away, i waited more than 5 min and the first picture wasn’t even half way, and i have close to 1000 pix…do you think dropbox will be any better? I am going to use it only for pics and vids, any recommendation? We’re working on a product right now called picnib. It’s specifically built for photographers to store backups of raw image files. Yes , I’ve read that it is hard to get the data onto it and there still aren’t many softwares available that support Glacier. Also the fees of restoring data is conversational and can be worrying when using Glacier without a third party solution, that’s why you should be sure when you use any service and ask them about the restoration fees. In my case , I’ve made sure that Zoolz isn’t charging me for the restoration fees not to forget mentioning that it is very easy to use. I use Picquest. It’s new and they offer free 10GB plus commerce on platform. They have plans for 100GB/200GB not that high and also watermark your stuff. Last comments are from 3/4 years ago…. I have just looked for Symform and …. it does not exist any longer. Can you please update on what cloud services are you using nowdays?